If you think that just by aligning your house according to the rules of Vaastu Shaastra can clear off all your problems then the answer is NO. Just reading a book on Vaastu, and making the necessary changes on the home front can never bring the desired changes, and sometimes may lead to big disappointments and mammoth expenditure. The best example to explain this is to, either fitting yourself in a ready-to-wear dress material, or getting your dress stitched according to your needs. The personal choices may differ, but it is always true that a stitched material will FIT better than the ready-to-wear dress. This explains that even Vaastu reading has to be customized according to the person?s charts, as the reading vary from person-to-person. 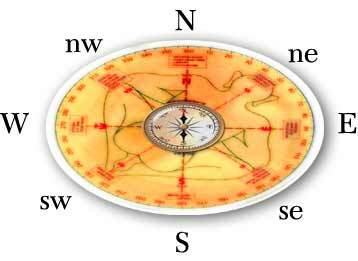 Vaastu and astrology (horoscope) are closely interrelated. And most of the sacred sciences of India are interconnected in one of the other way, directly or indirectly. The directions are linked to the planets, and they are invariably linked to different events of individual?s life. For example the planet Saturn signifies the West, and also addresses issues like old age. The 4th house in an individual?s chart signifies the living place of the native. And the matters related to house are indicated by the planets in the 4th house and also the position of the 4th lord in a chart. Planets play a crucial role in understanding the nature of the directions. Here are few notes on the individual lagna (ascendant) and the main directions that are associated with that particular lagna..
*For Mesha (Aries) lagna moon is the 4th lord, and northwest is the main direction. *For Rishabha (Taurus) lagna East is the main direction. *For Mithuna (Gemini) the North is the main direction. *For Kataka (Cancer) lagna the southeast is main direction. *For Simha (Leo) lagna the south is main direction. *For Thula (Libra) and Vrichika (Scorpio) lagna the West direction is the main direction. *For Dhanus (Sagittarius) lagna the northeast is the main direction. *For Makara (Capricorn) lagna the south is the main direction. *For Kumbha (Aquarius)the southeast is the main direction. *For Meena (Pisces) lagna north is the main direction. In case if the 4th house is afflicted or has problems, then the strongest planet is taken into consideration for the reading. People often ask can a Vaastu perfect house be built? If the 4th house is afflicted and if the same affliction is seen in the Chaturamsa, the person cannot build a Vaastu perfect house. Another frequently asked question is, will rectifications in the house bring in prosperity? It all depends upon the time of the native. If a good dasha and good bhukti is running along with a Raja Yoga in the offing, Vaastu rectification will bring in lot of success. If there is no Raja Yoga, there will be difficulties.